Hybrid cloud is a combination of public and private cloud services, with orchestration between the two. In today's world, cloud computing isn't just about public versus private cloud, it's about leveraging a cloud solution that is tailored and scaled to meet your business needs and support your priorities. Using a hybrid strategy, most organizations tend to use the public cloud for their test/development applications, email, CRM or for business functions such as HR and accounting. Their private cloud workloads tend to be mission critical or sensitive applications, plus heavy data analysis applications. Protected, confidential, and sensitive information can be stored on a private cloud while still leveraging Public cloud to run less critical workloads or on demand highly utilized Apps using pay-as-you-go cloud services. Hybrid cloud in the mix gives reassurance when it comes to security of your most sensitive operations, and can make it easier to meet regulatory data handling and storage requirements. The main reason organizations adopt the hybrid cloud approach is that it gives them maximum flexibility to explore new products and business models. If your business needs are continually changing, your development team can benefit from having a Test/Dev environment on Public cloud to build and test new software without having to dramatically rearrange your IT resources and architecture on Premise. Once the product is ready, the workloads can be Cloned/Copied to Private Cloud Infra. Although Private clouds are mostly scalable but public cloud will always be able to offer more in this regard. By moving those workloads that most benefit from scalability to the public cloud, you also reduce the demands on your private cloud. Depending on your use, public cloud tends to offer a more cost-effective solution than private cloud. 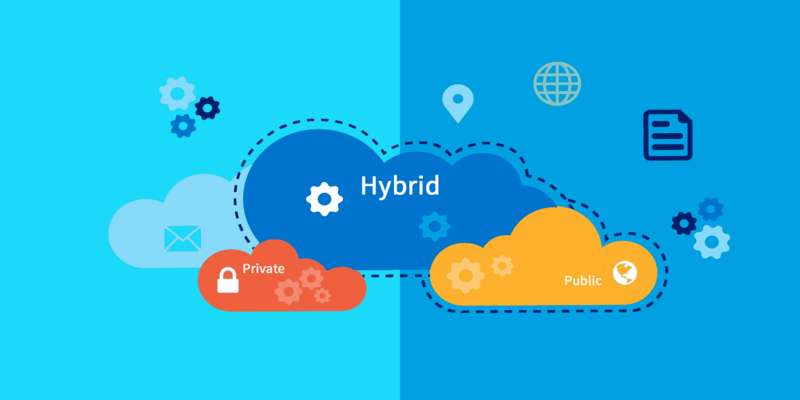 Hybrid cloud adopters can balance their need to be cost efficient with the security of keeping their most sensitive and critical workloads on private cloud. Is YOUR IT READY TO GO HYBRID? Transitioning a traditional IT setup to a hybrid cloud model is no small undertaking. The hybrid cloud is all about creating an efficient, modular, and flexible IT system. Depending on your current IT structure and your specific business goals, our Cloud Architects create a plan that fits your situation. Help our customers with staging, testing, and validation before moving their production environments to Public Cloud as well as creation of Staging/Development area on Private Cloud within the DC.